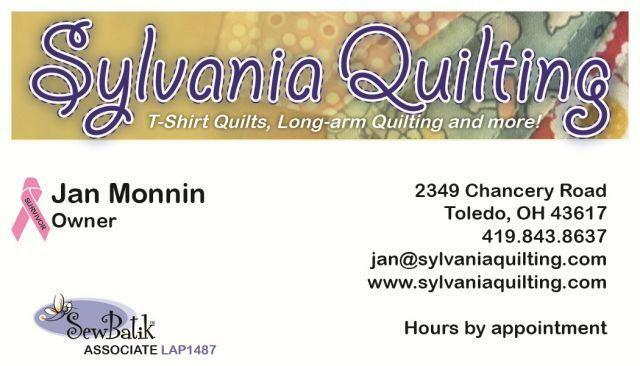 If you are interested in having us make up a t-shirt quilt for you, please feel free to call or email me. I can answer your questions and set up a consultation and arrangements to get your t-shirts to us. Whatever services we provide for you, be assured that your quilt will be handled and stitched with the same care, dedication and attention that I would put into one of my own quilts. I look forward to working with you and making you a life long client.